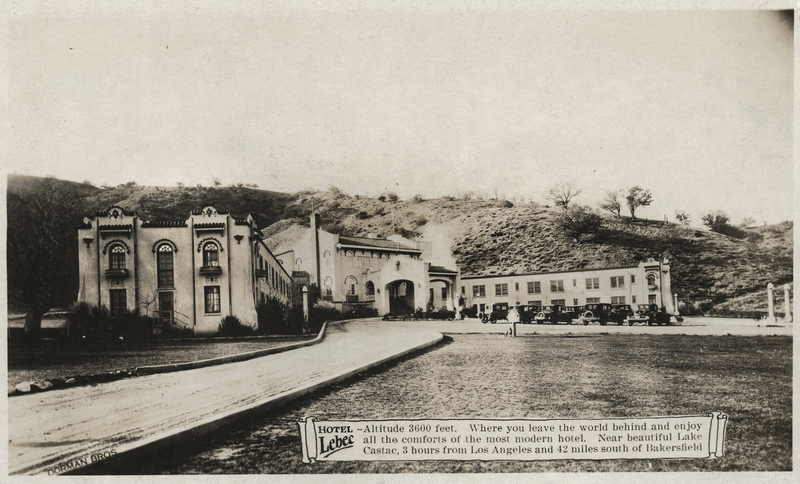 SCVHistory.com LW3226 | Lebec | Hotel Lebec, Dorman Bros. Photo, 1921-1923. HOTEL LEBEC — Altitude 3600 feet. Where you leave the world behind and enjoy all the comforts of the most modern hotel. Near beautiful Lake Castac, 3 hours from Los Angeles and 42 miles south of Bakersfield. 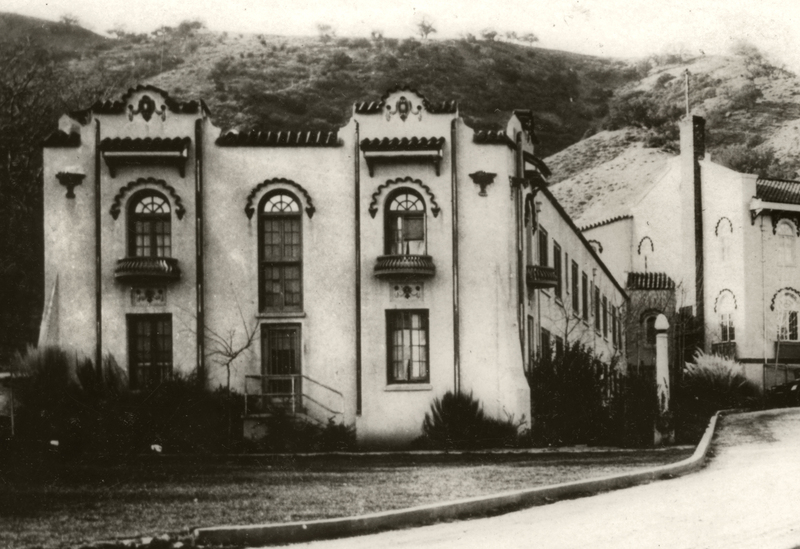 We know the approximate date of the photograph because it's from the same issuance as this view, which is no earlier than 1921 and no later than 1923. LW3226: 9600 dpi jpeg from original RPPC purchased 2018 by Leon Worden.